WooHoo...It's the most wonderful time of the year! Hope your Thanksgiving was full of wonderful people, family and food. My leftovers are gone....YAY. It's a little cool here in Florida today, so I am making a pot of Chili. YUM!!! Thought I would sneak in here for a bit while everyone is napping to share a card I made for a couple of challenges. Ok...so maybe you have never seen a Navy blue doughnut...now you have! Oh, the joy of art!!!! The frosting is White FlowerSoft and tiny gold beads. Background was airbrushed and stenciled. Sentiment achieved by combining stamp sets. 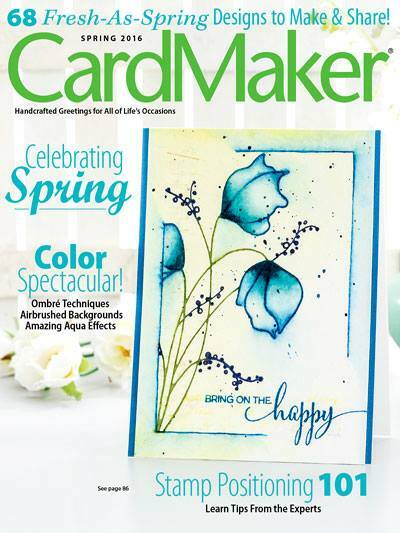 Penny: Love your card--so pretty! We're glad you entered our Challenge "Snow! Snow! Snow!" Penny - that donut is completely adorable!! 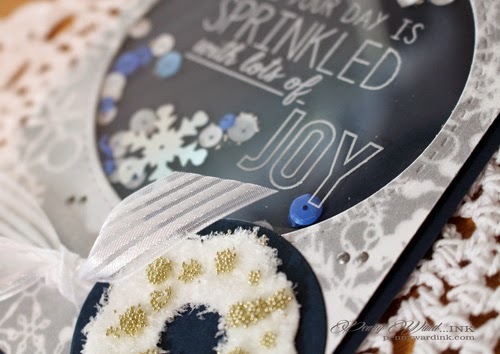 I love how perfect that sentiment is with the theme of Snow and with the shaker card idea!! You are so clever and I love seeing what you come up with!! MY card for this challenge is up on my blog now and I am hosting a giveaway - hope you come on over to see!! Have a most awesome day!! What a work of art! So pretty and full of fun elements! Love your fabulous shaker card. Penny, this is just so stinkin' sweet. I love your navy blue doughnut, it looks very yummy. What a fun and festive card, I love it. Thank you so much for playing along with us at Simply Create Too. Gorgeous Christmas card, thank you so much for sharing with Simply Create Too.